@McDonaldsArabia: Why does Big Tasty have double the amount of fat in the UAE? @ArabObserver Hi Fadi, the sandwich build is different. Big Tasty has three slices of cheese. @ArabObserver The beef is 1/4 pounder for both. Both beef patties are 100% pure. A few weeks ago, I had a big tasty meal at a McDonalds branch in Jordan. 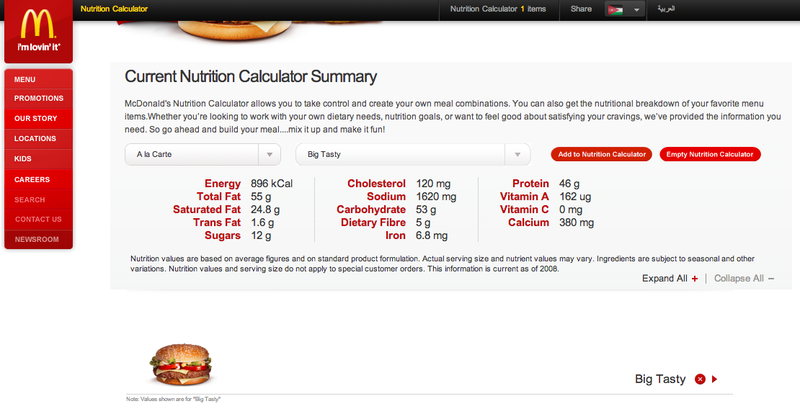 As I remember, and because McDonalds in Jordan doesn’t show the nutritional values of the meals on the packaging, I opted to the internet to find out. 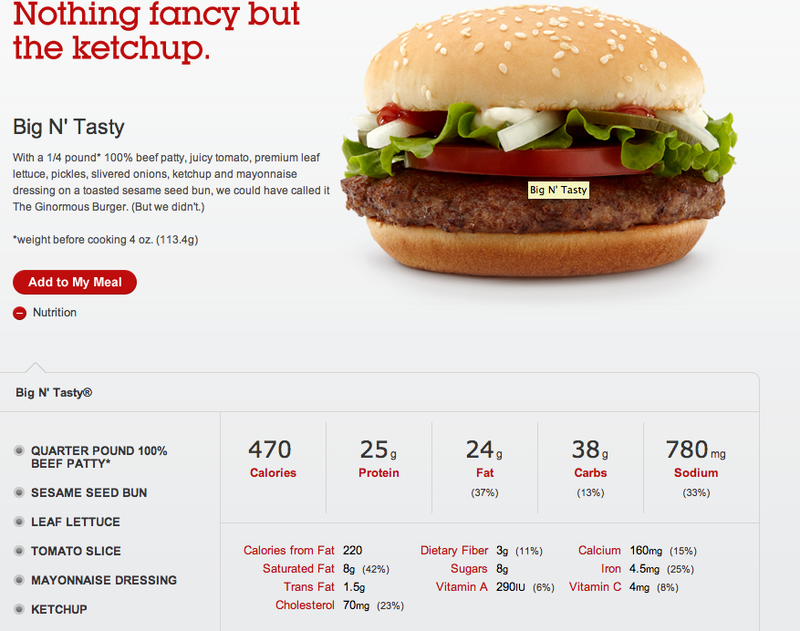 Yesterday, I had a big tasty meal here in Dubai, and I was horrified looking at the calories count on the packaging. It showed double the amount of calories I have looked up on the internet previously (double the calories, double the protein, and double the fat!). This morning, I though of double checking this on McDonalds official websites, and I found an interesting discovery. McDonalds Arabia does show double the amount of the nutritional value for the Big Tasty Sandwich than its US counterpart. There seem to be something wrong. I noticed another difference between the two websites which is the letter “N”. It makes me wonder if we are talking about two different sandwiches here? as in Big Tasty is not the same of Big N’ Tasty? or McDonalds Arabia is trying to shove double the amount of fat down our throats? or maybe someone did a mistake in uploading the calories count on the website and printing it on their packages? Don’t get me wrong. I love McDonalds. I am only posting this in the hope it gets corrected.. or explained!